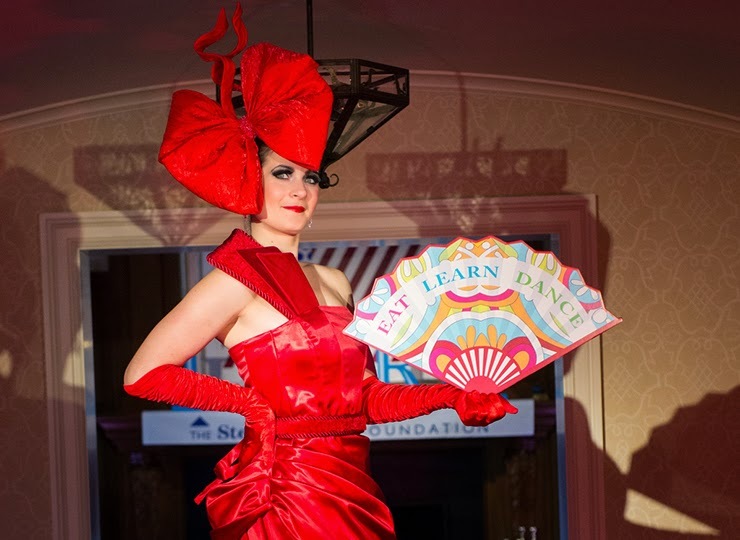 This colorful fundraiser "EAT LEARN DANCE" was produced to raise awareness and funds for The Steppingstone Foundation in its efforts to prepare underserved students for college success. 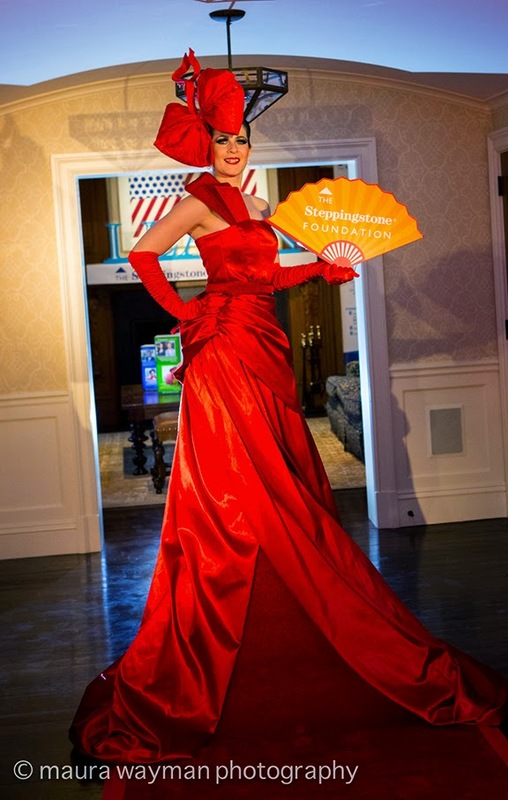 To begin the evening, guests were met by a living red carpet that welcomed them to the "Learn" part of the evening. 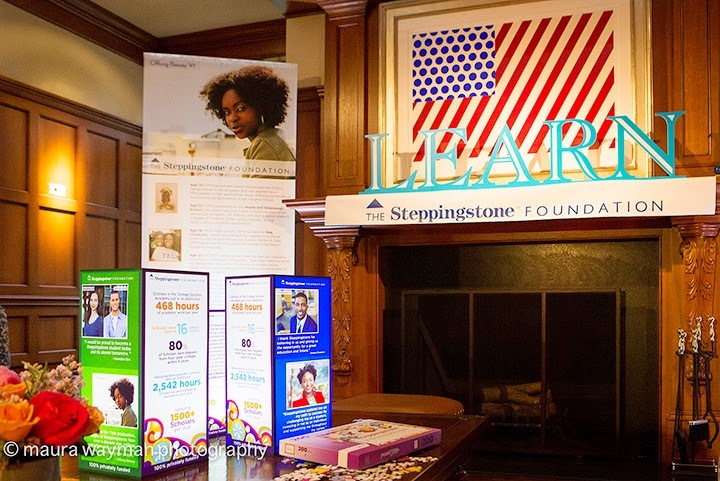 With the help of graphic designers at Instant Sign Center, Liz designed elegant informational banners highlighting the purposes and goals of the foundation. 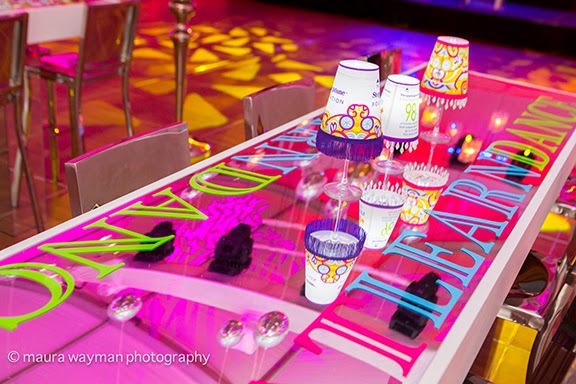 We built complimentary lit column centerpieces that featured some of the major points as well as the three dimensional LEARN lettering. 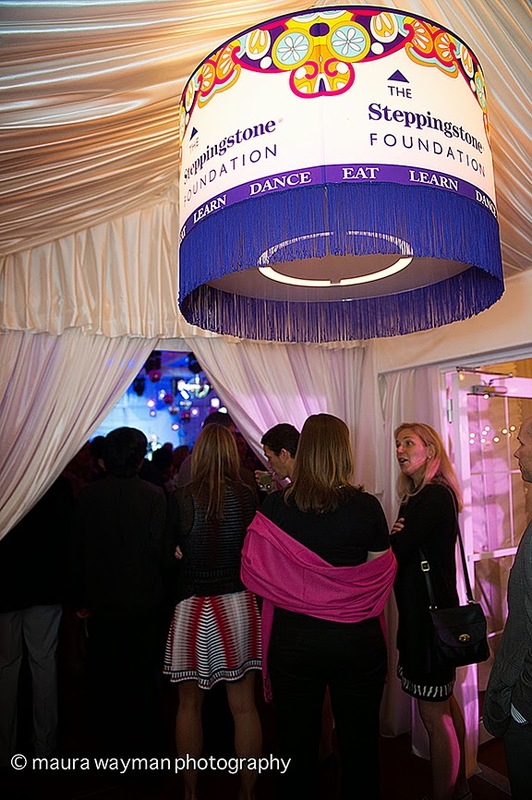 After enjoying the informational part of the evening, guests were invited into a large tent to EAT and DANCE. 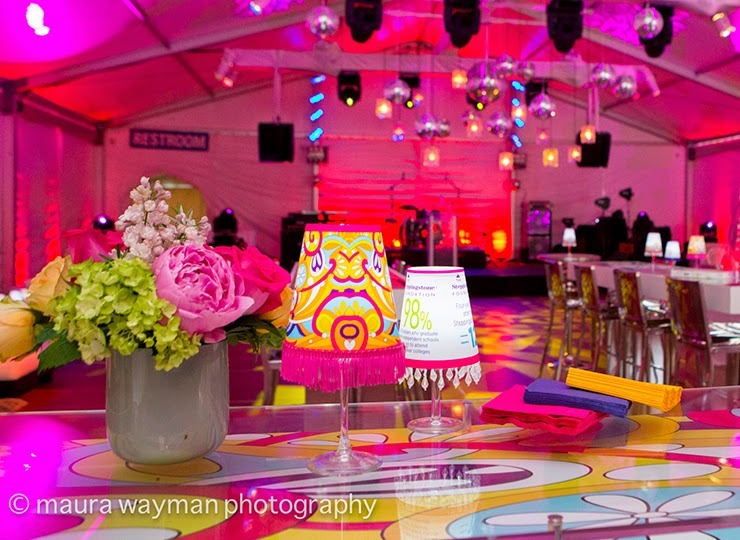 Using the invitation artwork as a springboard, we designed wineglass shades, food and bar signs as well as a large drum shade with fringe trim that was hung in the entrance way to the tent. From all reports, the event was a smashing success. 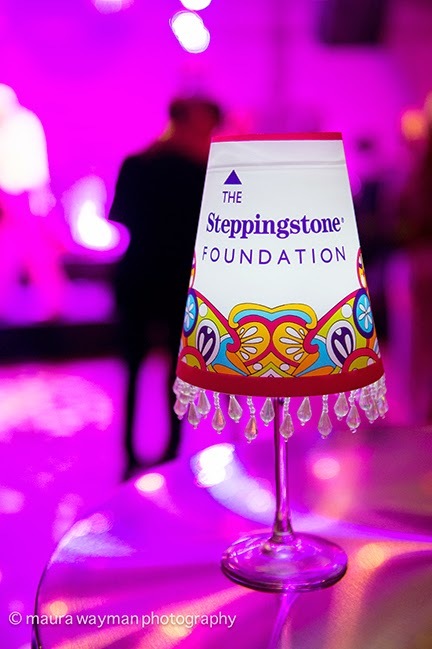 We loved working with the colorful graphics and were happy to be able to help bring visibility to the Steppingstone Foundation's efforts in the Boston Area. Thanks to Liz Marson for including us in her team of vendors. 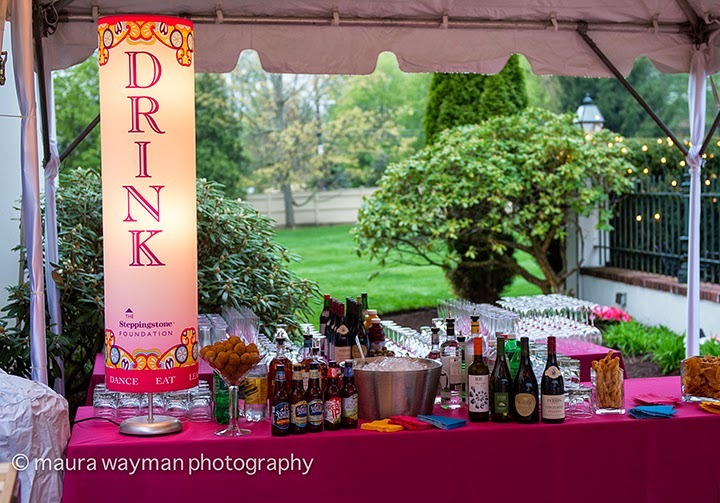 Thanks to Maura Wayman Photography for these great photos. 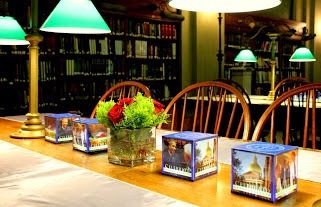 We recently found this photo from an event long past, but we were reminded how great these photo cubes are. At only 4" x 4" square, they pack a great visual punch to personalize a table top beautifully.